– Two sided zipper pouch for makeup, hair ties, keys, etc. 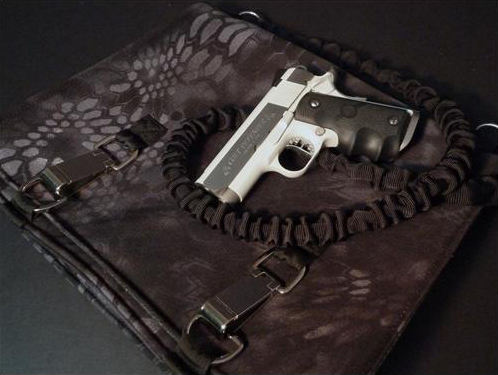 – Large interior pocket will hold 4+ boxes of ammo, eye and ear pro, cleaning supplies, etc. Made in the USA; available October 2013. This entry was posted on Thursday, September 12th, 2013 at 10:33	and is filed under Bags. You can follow any responses to this entry through the RSS 2.0 feed. Both comments and pings are currently closed.